The comparisons are non-stop at this point. 2. ...seriously, lead singer Josh Kiszka could be a Robert Plant voice-doppleganger. That's not really a thing, but I'm making it a thing. 3. And Robert Plant himself has said that he "hates" him — jokingly, of course. In a March 2018 interview, Plant (lead singer of Zeppelin, for you youths) mentioned Greta Van Fleet as one of his favorite young bands saying, "They are Led Zeppelin I," and describing Josh as "a beautiful little singer." 4. 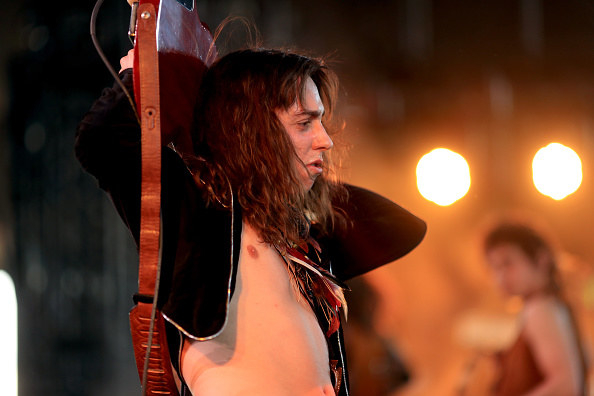 Jake Kiszka, their guitarist, has even said that he spent a year and "intensely studied" what Jimmy Page did. Jimmy Page being Zeppelin's guitarist, in case you're a total neophyte. 5. Their logo uses the same font as Stranger Things. It's called ITC Benguiat, which was also very popular in the '70s and '80s and has graced the cover of many Stephen King novels. 6. The band consists of three brothers: Josh Kiszka (lead vocals), Jake Kiszka (Lead guitar), and Sam Kiszka (bass/keyboards), and friend Danny Wagner (drums). From L to R: Sam, Josh, Jake, and Danny. 7. And they're super young — like, only half of them are legally old enough to drink. Josh and Jake are 22, their younger brother Sam is 19, and drummer Danny is only 19. 8. Oh, and Josh and Jake are actually twins. 9. 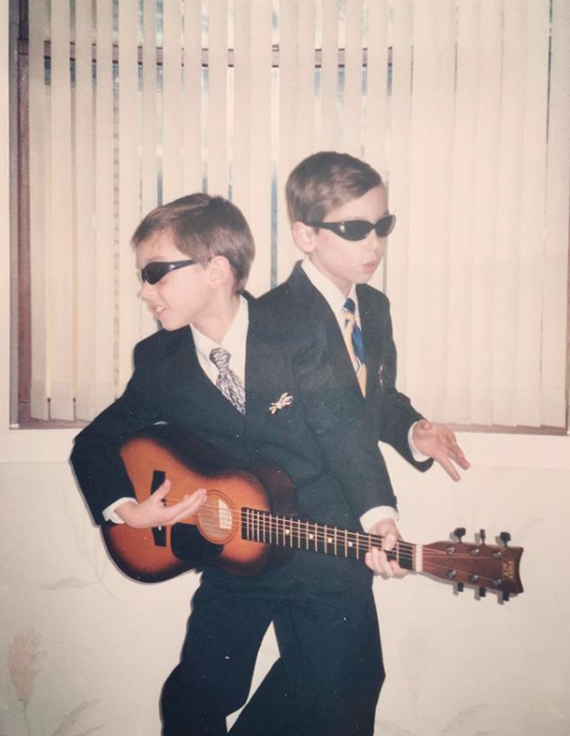 Jake said he started playing guitar when he was "around 2 or 3 years old." 10. They were formed in the small Michigan suburb town of Frankenmuth. It's apparently known for the world's largest Christmas store, too. LOL. 11. They've only been together for a few years, originally forming in 2012. Greta Van Fleet at Frankenmuth High School's "Autumn Splendor." 12. And their name, Greta Van Fleet, was inspired by a local resident named Gretna Van Fleet. 13. The first place they performed was Jan's Bar in Bay City, Michigan. The owner, probably: "Yes, you can play in the bar, but you can't drink in bar!" The song was originally a part of their first studio EP, Black Smoke Rising, but was also re-packaged into their more recent From the Fires EP (pictured above) that came out in November 2017. 15. ...and it was featured on the TV show Shameless. At the time, Sam said, "Actually, none of us have seen the show." ¯\_(ツ)_/¯ They prob have now, to be fair. 16. The band performed at Elton John's 2018 AIDS Foundation Oscar Party. 17. He even joined them on stage for a performance of John's "Saturday Night's Alright for Fighting." #New | Greta Van Fleet performing with Elton John at his annual Aids Foundation Oscar party.